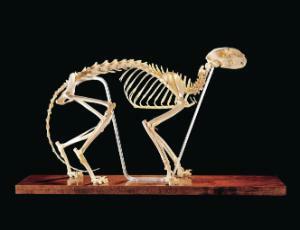 For a superior view of cat skeletal anatomy, our painstakingly prepared and mounted cat skeleton is a must. The ligamentary preparation, complete with clavicles, ensures accurate alignment of bones, and the entire structure is reinforced with wires and pins for stability. 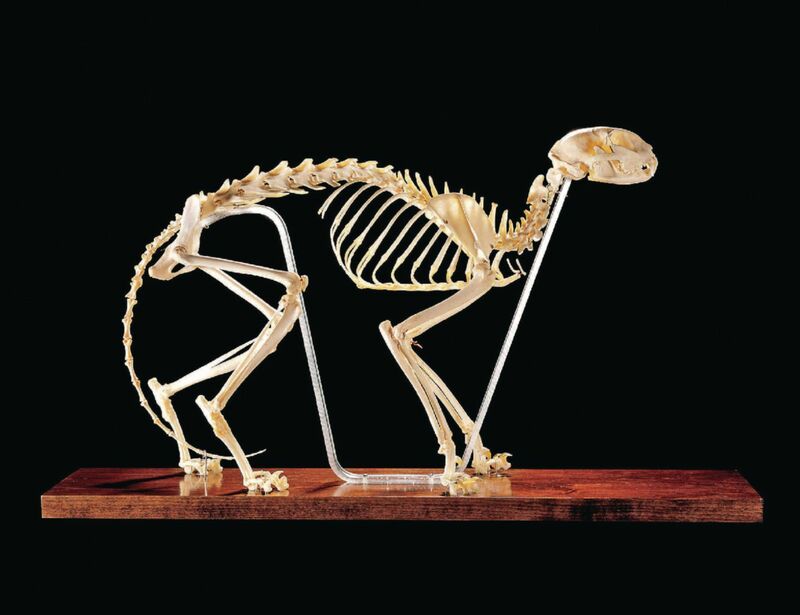 Unobtrusive clear plexiglas struts support the skeleton, firmly attaching the cervical and lumbar vertebrae to the base. A metal rod running through the nerve canal not only supports but also forms the spine’s natural curve. It is mounted in a natural walking position on a wooden base with a sturdy, 1/8"-thick plexiglas cover and comes with a key identifying 48 structures. Skeleton size approximately 18"L.